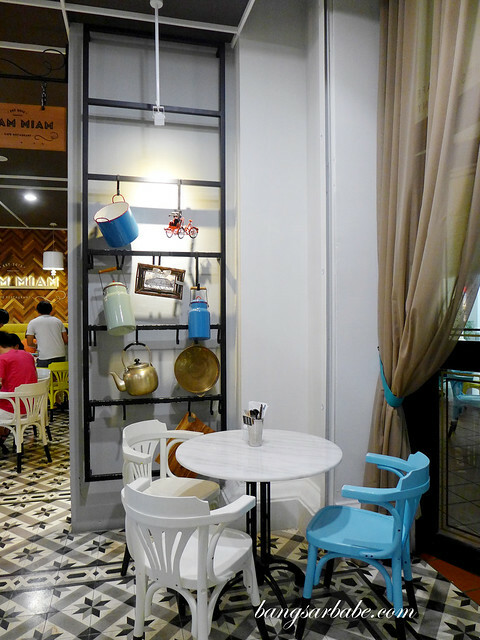 There is a lot of hype about Miam Miam (‘yum yum’ in French), a café that serves a range of French food with strong Japanese influence. 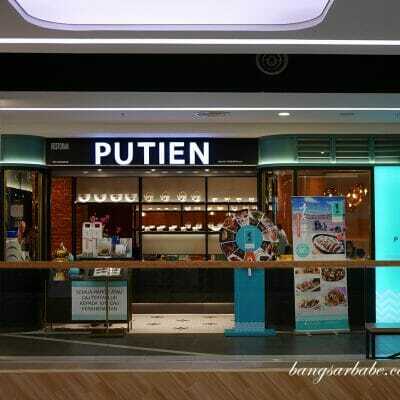 While we’ve yet to try the one at 1 Utama, rif and I managed to pop by the outlet in Penang for dinner. 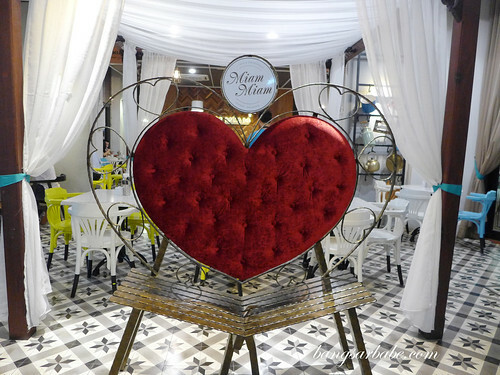 The café’s interior marries European and Asian elements, with accents of bright coloured furniture and quirky knick knacks on display. 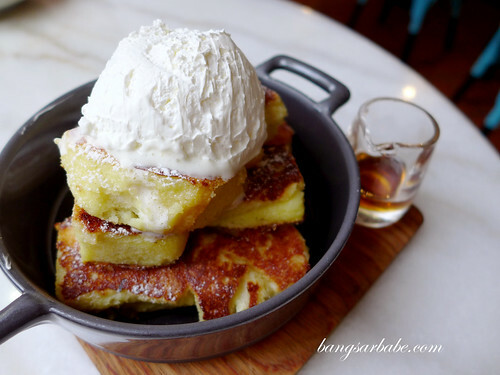 I was determined to see what the fuss was all about and ordered some of Miam Miam’s favourites – lobster bisque, Miam Miam spaghetti, soufflé au curry, vanilla soufflé and the famous French toast with homemade whipped cream and maple syrup. 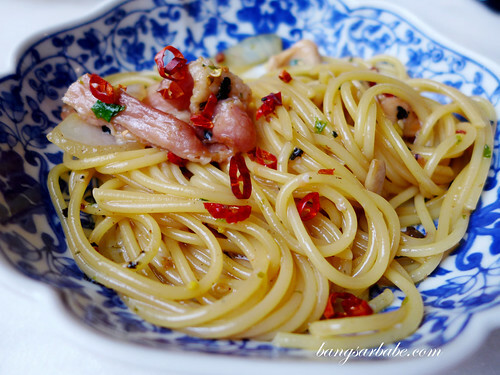 Spaghetti, tossed with frankfurters, tomatoes, baby spinach, bacon, house broth and shoyu, and topped with an egg. 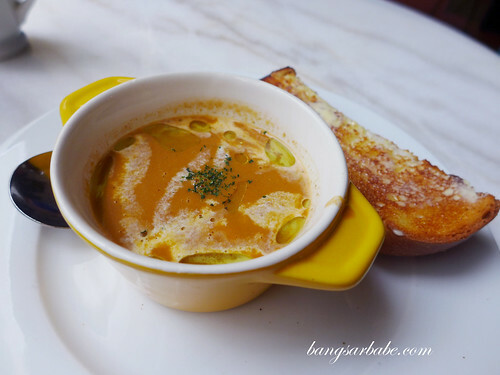 The lobster bisque (RM13) was quite decent; sweet, buttery and flavour packed, albeit slightly watery. 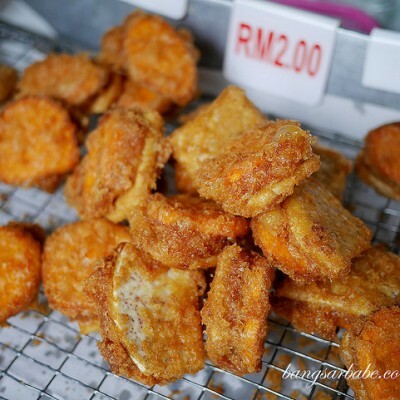 For RM13, I’m not one to complain. 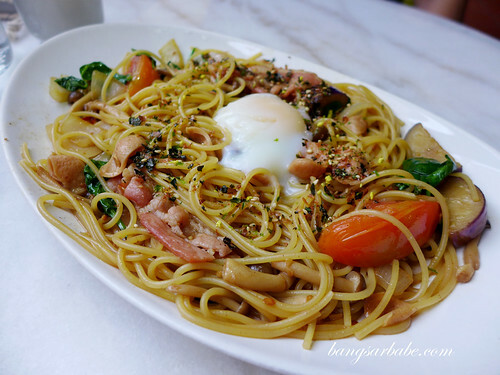 Miam Miam Spaghetti (RM26.80) featured al dente spaghetti, tossed with sliced frankfurters, tomatoes, spinach, bacon, house broth and shoyu, and topped with an onsen egg. While this was alright, I didn’t understand the hype. It was just an ok plate of pasta. 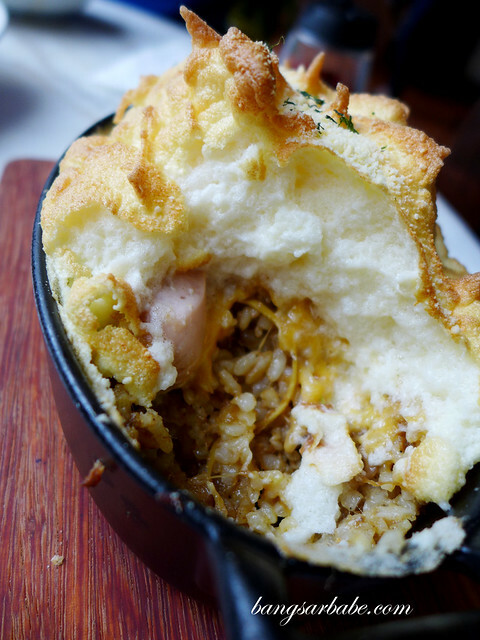 Less stellar was the Soufflé Au Curry, a puffy foam crust with curried rice underneath – a confusing fusion of Japanese and French. There was little curry in the rice so the overall note of this dish was bland, and airy. Two of my least favourite combinations. 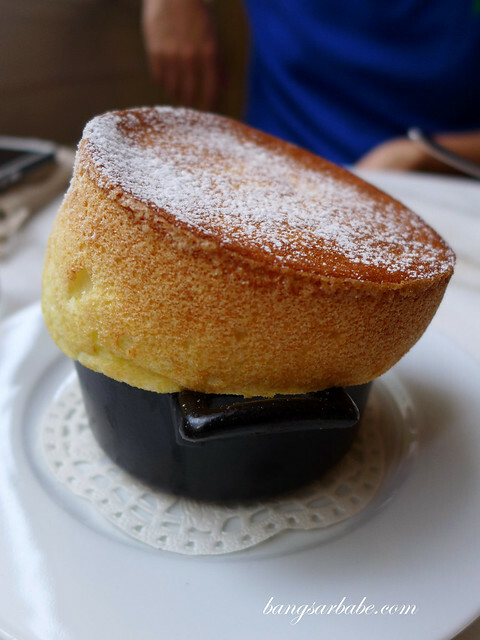 The Vanilla Soufflé was also disappointing, despite its beautifully risen crust. I found this too sweet while the centre was a tad lumpy. 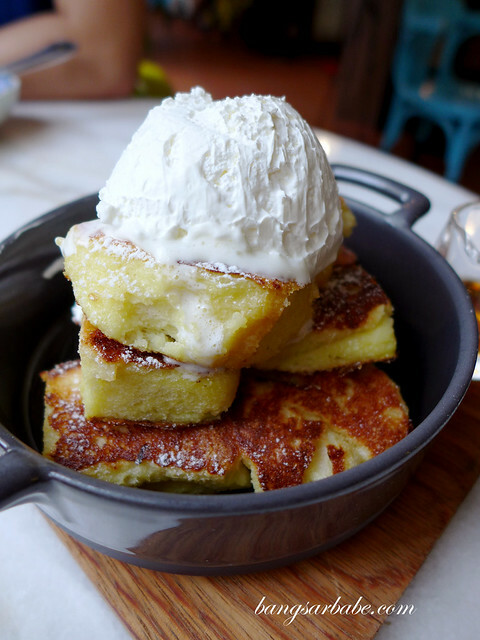 Then there was the much talked about French toast (RM16.80), served with whipped cream and maple syrup. While this was not bad, I didn’t find this spectacular. 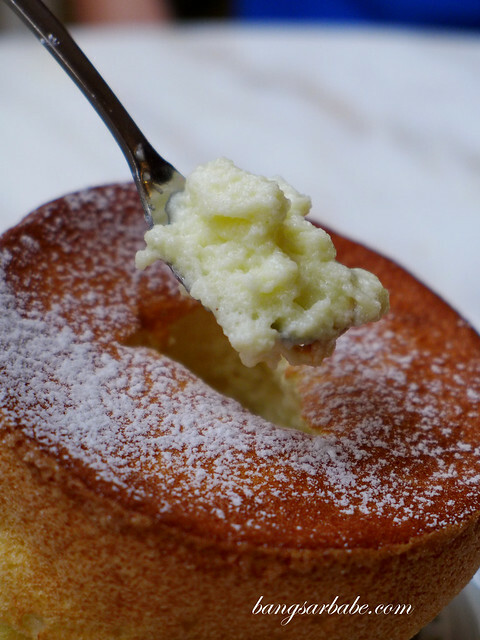 At least not the way I had imagined it to be, after hearing so many raves about this dessert. 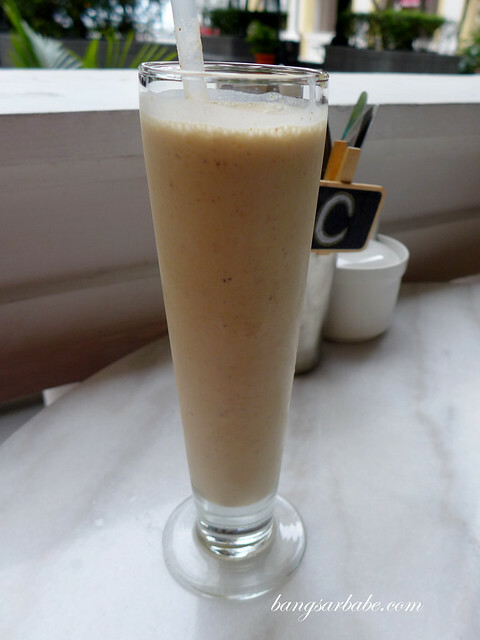 But there was one thing that tickled my fancy at Miam Miam – the peanut butter and banana milkshake. This was thick and creamy with generous amounts of both peanut butter and banana. Good stuff. 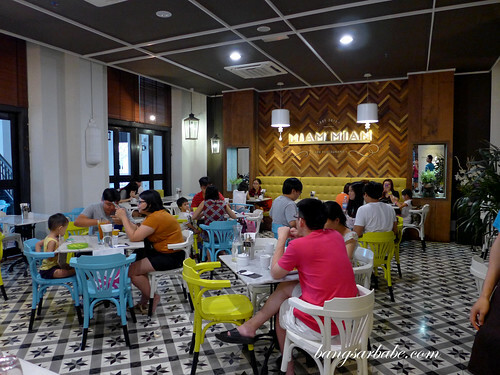 All in, I wasn’t bowled over by the food at Miam Miam. I did however notice its appeal to the younger crowd, especially females. You know, the kind who takes too many a #selfie and #wefie. Verdict: I don’t understand the hype but to each his own, I guess. 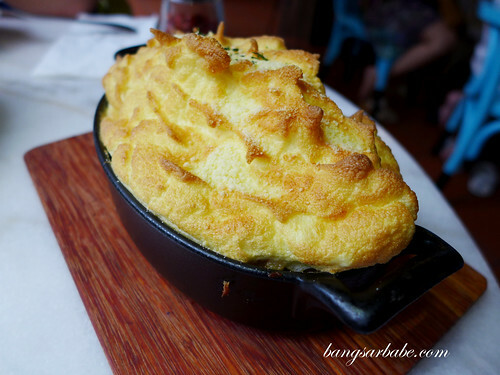 Totally agree on the food @ Miam Miam…. Still don’t get why people are so crazy over this place lol. Thanks for sharing your thoughts C2.